Cruise to the remotest corners of the Antarctic Peninsula. Enjoy camping, hiking, kayaking, snowshoeing, mountaineering and photography under the open blue skies, jagged terrain and vast spans of snow and ice. 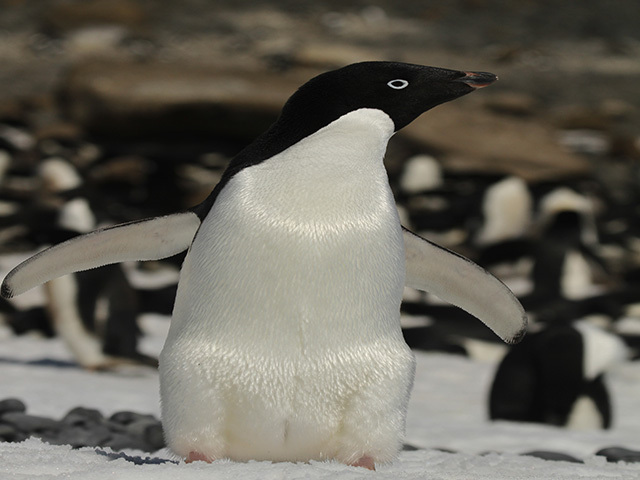 Witness the breeding ground of Adelie Penguin and Blue-eyed shags. 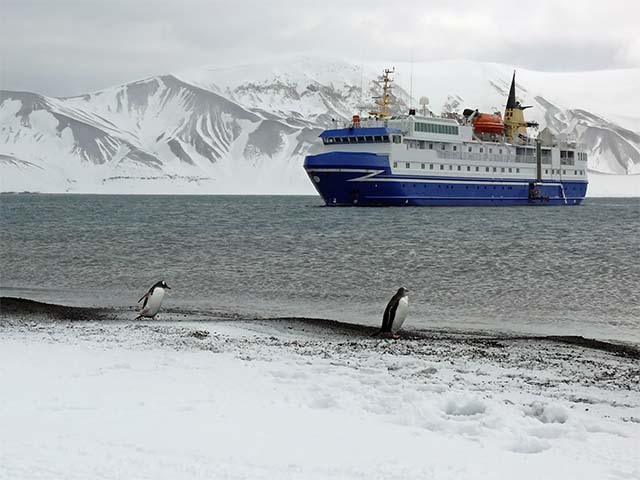 Board the M/v ‘Plancius’ in Ushuaia for the tour to Antarctic, Argentina, the southernmost city in the world. Sail through the scenic waterway of the Beagle Channel, a strait separating islands of the Tierra del Fuego Archipelago, Argentina. It separates Isla Grande de Tierra del Fuego from the islands Nueva, Picton, Navarino, Hoste, Londonderry, Stewart Islands and other smaller ones to the south. The Channel gets its name from the ship ‘Beagle’, in which Charles Darwin did a hydrographic survey of the region. Your vessel and home for the next few days will be M/v “Plancius,” where you will be accommodated in Twin Superior rooms. During the next two days, sail across the Drake Passage, a body of water between the southern tip of South America at Cape Horn, Chile and the South Shetland Islands of Antarctica. This passage connects the southwestern part of the Atlantic Ocean (Scotia Sea) with the southeastern part of the Pacific Ocean and extends into the Southern Ocean. Before the passage opened, the Atlantic and Pacific Oceans were separated entirely with Antarctica being much warmer and having no ice cap. The joining of the two great oceans started the Antarctic Circumpolar Current and cooled the continent significantly. After crossing the Antarctic Convergence, you will arrive in the circum-Antarctic up welling zone. In this area you may see wandering albatrosses, grey-headed albatrosses, black-browed albatrosses, light-mantled sooty albatrosses, Cape pigeons, southern fulmars, Wilson’s storm petrels, blue petrels and Antarctic petrels. If the winds are favorable the vehicle might enter Antarctic waters in the evening of the third day near the South Shetlands. These volcanic islands are windswept and often shrouded in mist and fog. There is a nice variety of flora (mosses, lichens and flowering grasses) and fauna, such as gentoo penguins, chinstrap penguins and southern giant petrels here. 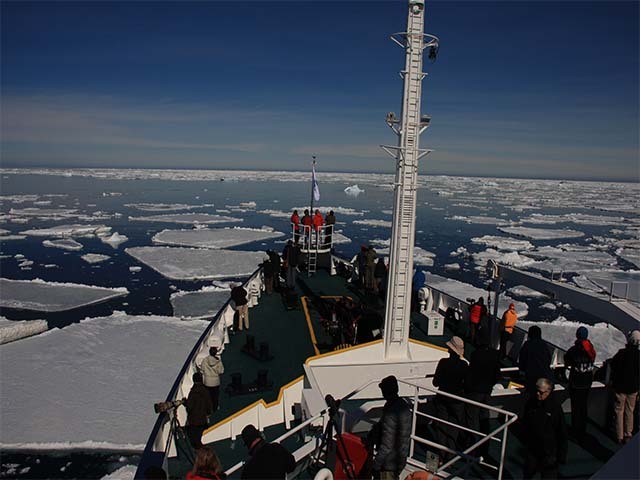 Sail to “High Antarctica”, passing the Melchior islands and the Schollaert Channel between Brabant and Anvers Island. On to the Neumayer Channel, where the ship will anchor for the multi activity base camp. The protected waters around Wiencke Island will be your playground for all activities. In this alpine environment there are great opportunities to scout the region on foot, on zodiacs and during kayak trips. Walkers will find opportunities to use snowshoes on hikes near the shore lines and the mountaineers will find their challenge by climbing hills and view points further inland, ie. Jabet Peak (540 m). All climbs and excursions can only be conducted in good weather conditions. The ship will stay here for two nights for camping and two full activity days (hiking, camping, kayaking, mountaineering and photograpy sessions are all included in tour price). Visit a British research station and the post office - Port Lockroy on Goudier Island. Close to Port Lockroy the ship may land on Jougla Point to see gentoo penguins and imperial shags. Then sail through the spectacular Lemaire Channel to Pleneau and Petermann Island where you can see Adelie penguins and blue-eyed shags. In this area there are good chances to encounter humpback whales, minke whales and fin whales. Your second Basecamp night will be spent near the continent on a campsite that is suitable and close to next day’s activity. The mountaineers will hope to reach the summit of Mt Demaria (640 m) at Waddington Bay. A visit to one of the scientific stations in Antarctica will give you an insight about the life of modern Antarcticans working on the White Continent. Further south you may visit the Ukrainian Vernadsky Station, where you will receive a warm welcome from the station crew. When sailing to Paradise Bay, with its myriad icebergs and deep cut fjords, you will have the opportunity for zodiac cruising and kayaking between the icebergs in the inner parts of the fjords. A zodiac is an inflatable rubber boat that is very stable and agile and is ideal way to explore areas where larger vessels cannot maneuver. It is a thrilling experience to have a closer encounter with the animals around. Spot humpback whales and minke whales here. Hikers, mountaineers and photographers will spend time ashore. In afternoon, at Neko Harbour you can set foot on the Antarctic Continent and enjoy the landscape during zodiac cruises, hikes and kayak excursions. A small group of mountaineers may climb up on higher grounds of the glacier. You will spend the night at Neko or near Paradise Bay with a camp erected ashore. Leave Neko Harbour in the early morning after breaking the last camp. Sail via Melchior Islands towards the open sea of the Drake Passage. Spot seabirds on the way. The next two days will be at sea as you sail back towards Ushuaia. Drift along the currents and pamper yourself with a book and the blue sea for company. 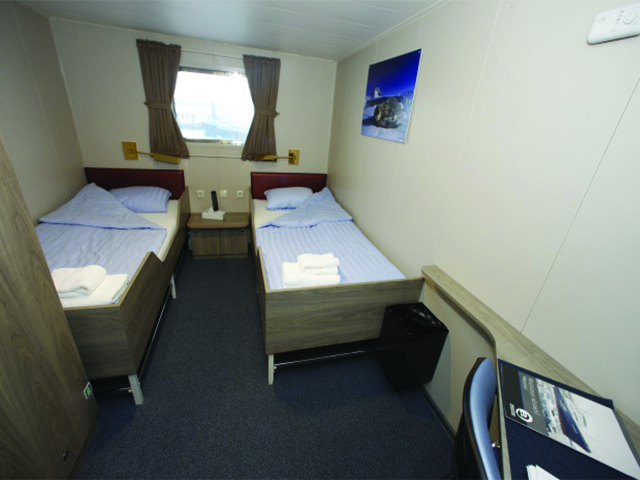 The vessel M/v "Plancius", apart from the excellent rooms also has a restaurant, lecture room, observation lounge (with bar) and ample deck space for travelers to enjoy the scenery and wildlife around them. This is the last day of your thrilling expedition. Reach Ushuaia in the morning and disembark from the vessel.